I’ve recently had the chance to get out of town a little to do some camping. Not very far, just a 6 or 7 mile hike south of Seward along forest paths and rocky beaches. But around here it doesn’t take a lot to feel removed from civilization. Not isolated, not secluded. Boats passed by every several minutes. Even so, it was removed enough from other people to forget being hemmed-in for a couple of days. One thing really refreshing about this area is that you don’t even need to get out of town to encounter some pretty amazing nature. All that open space that lets you get out of town with a quick trip up a mountain or along the beach also supports large populations of top-level predators. These are the animals that require a lot of resources (read: food and shelter) that are hard to find near most urban areas. Two encounters drove this home recently. 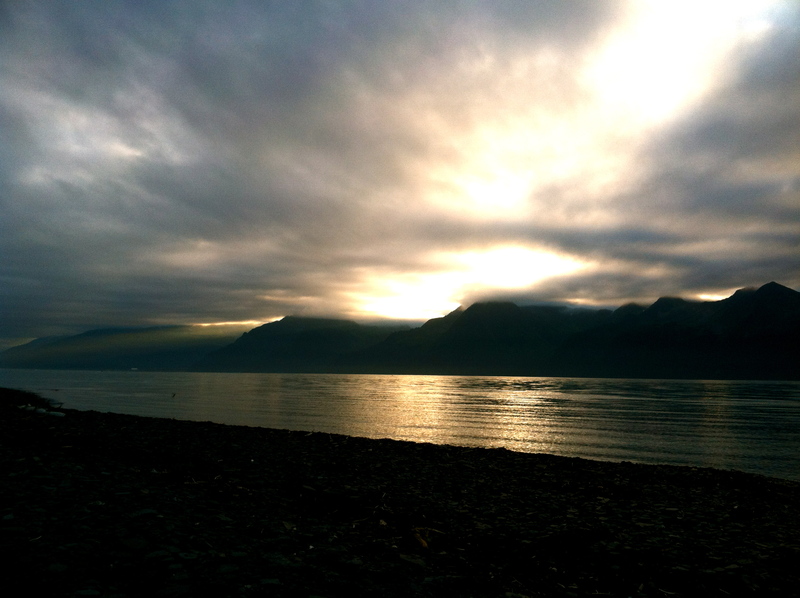 Both were evening strolls down by the bay directly adjacent to downtown Seward. In the first, I went out to catch the glowing sunset light on the mountains and the water at about 11pm. Looking through my viewfinder, I happened to notice a few ripples on the surface of the water. I took the camera down from my eye, and was rewarded with a furry face poking out of the water, perhaps 20 feet from shore. The face was joined by another and another, until a group of five sea otters swam away together towards the boat harbor. Sea otters heading into town. The second, an ongoing encounter, is between myself and a myriad of bald eagles that make this river delta we call Seward their home. I have no idea just how many bald eagles there are here, but at least several adult pairs and several juveniles. 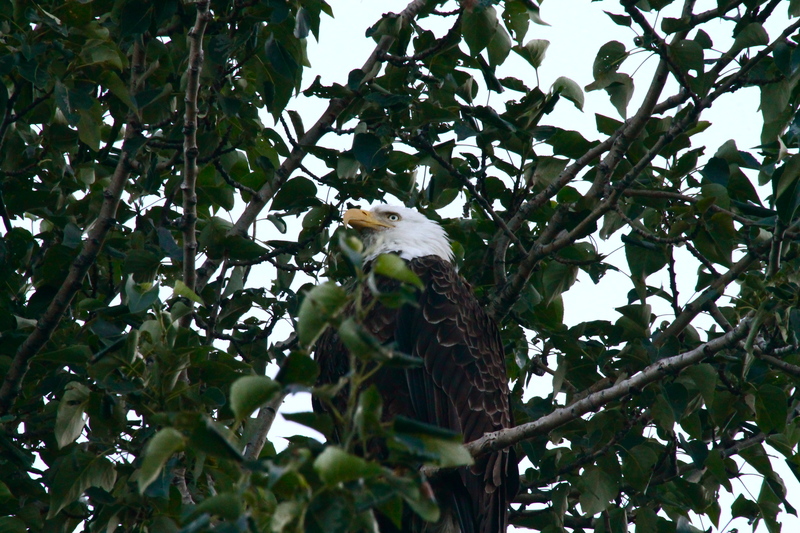 Bald eagle resting in a tree in Seward. Bald eagles are present across a very large portion of the United States, but I’ve never seen them so regularly as I do here.